Va-va-vroom! Metropolis stands protected and so will your keys! 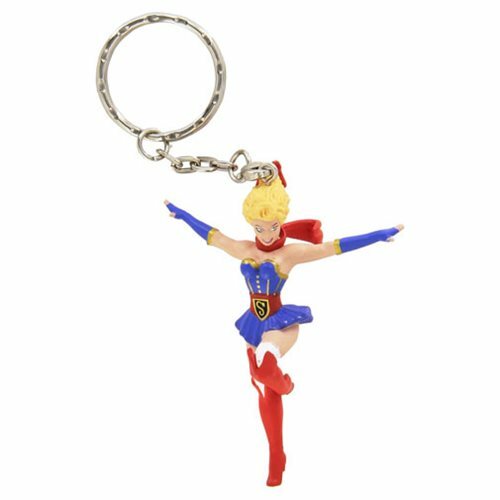 Supergirl has been reimagined as a pin-up girl by artist Ant Lucia and now she's the perfect size for your keys or bag! Item measures approximately 3-inches tall and is made of quality PVC plastic. Ages 3 and up.